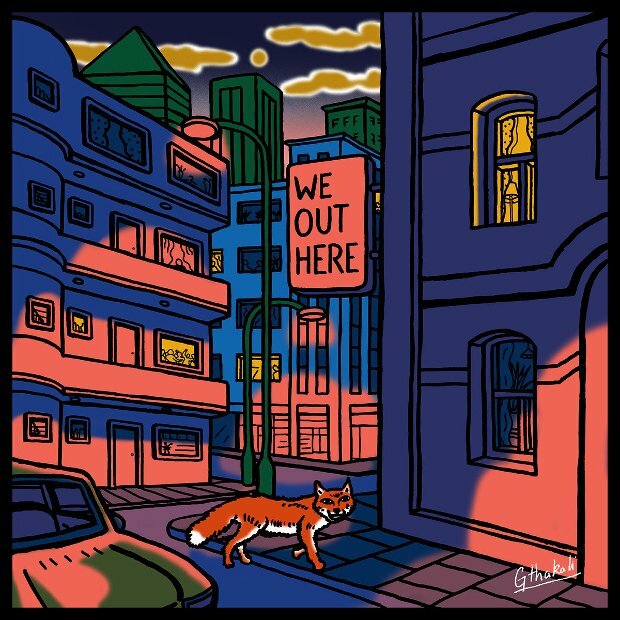 A snapshot of London's new wave of jazz, We Out Here was recorded in three days under the guiding hand of Shabaka Hutchings. The British-Barbadian reedist's own contribution, 'Black Skin, Black Masks,' is a highlight, its expansive grooves, snaking clarinets and elegant piano elevated by artful abstraction. Hutchings' Sons Of Kemet bandmate Theon Cross brings swaggering grime tuba to 'Brockley', one of several tracks that show the influence of London bass and club culture. Moses Boyd's 'Sirens' is the album's deepest dive into electronica, with palm muted guitar and crunchy drum loops pricking at the surface of swelling synth pads. Dub horns and dirty synth bass raise the pressure, before raw tenor sax and frenetic hard bop drums tear the roof off. Other tracks are less adventurous, but no less enjoyable, from Ezra Collective's Afrobeat-influenced 'Pure Shade' to the sweet Afro-Caribbean guitar of Kokoroko's 'Abusey Junction'.